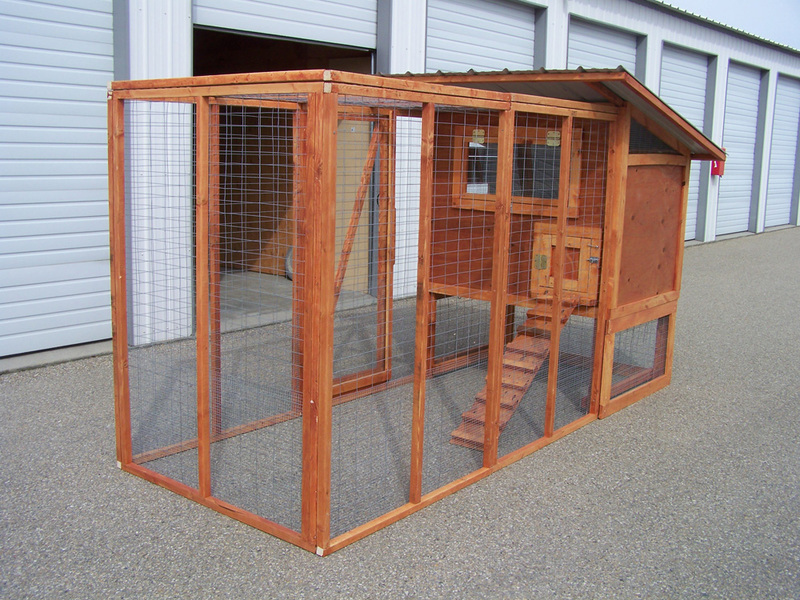 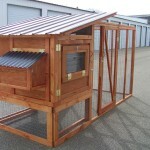 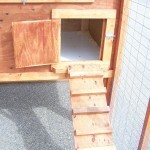 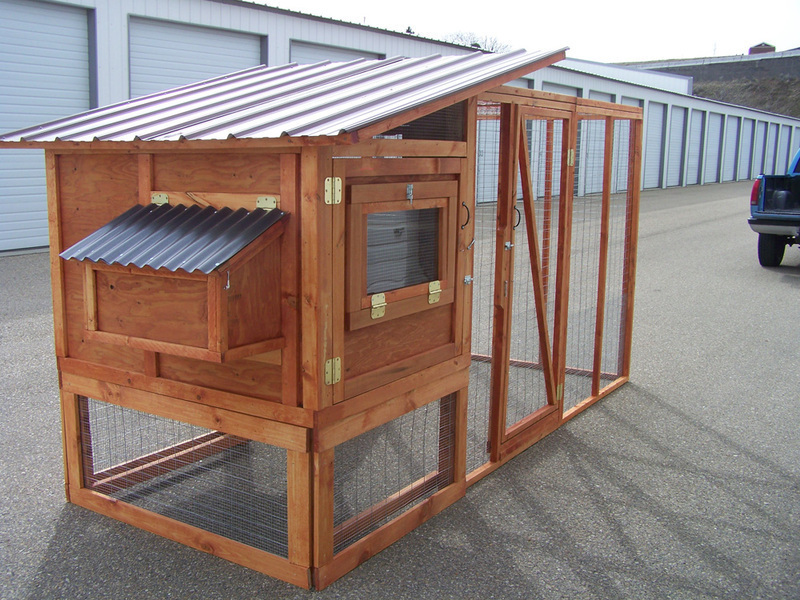 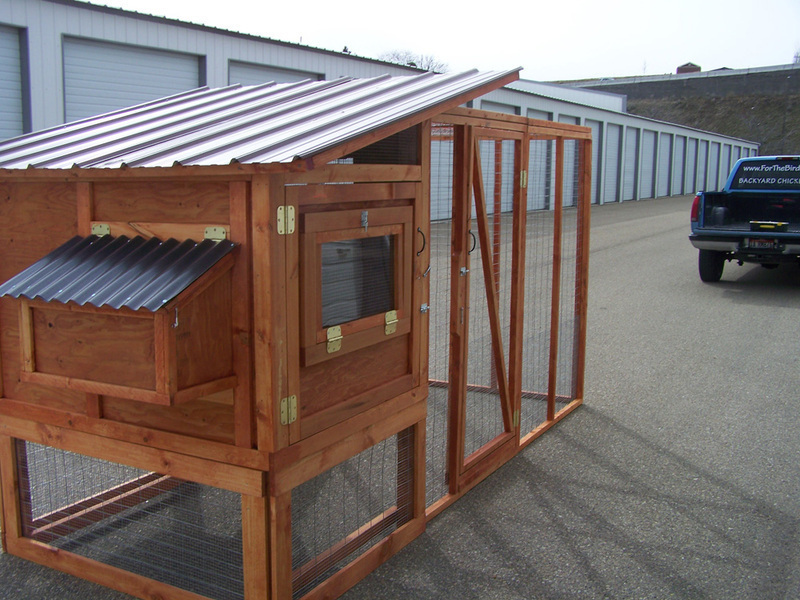 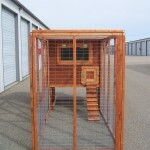 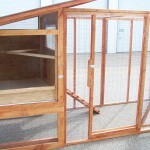 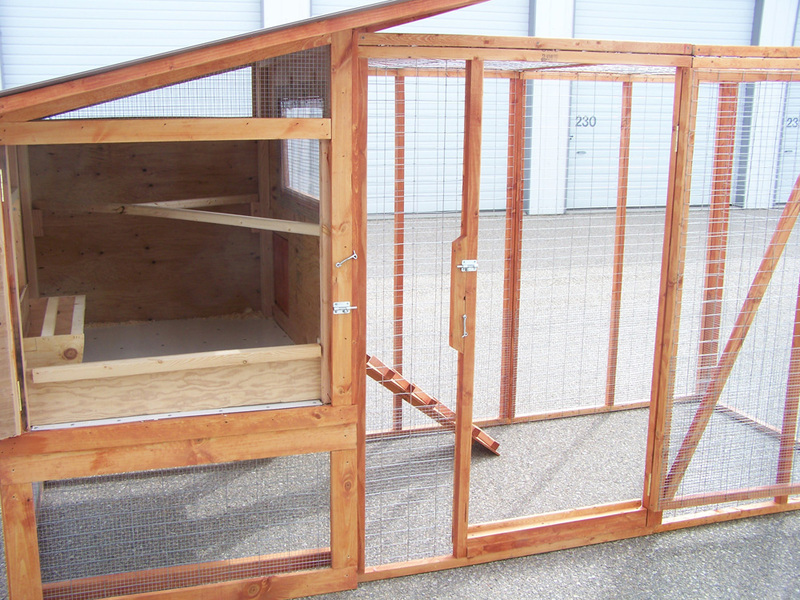 The Jerome coop is a nice starter for up to 6 hens. 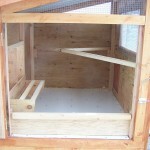 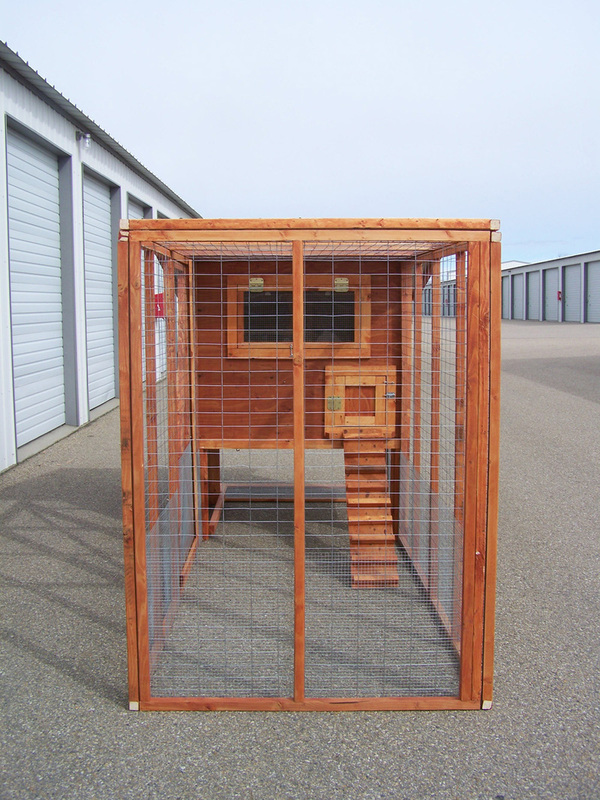 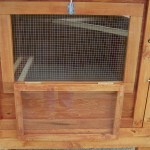 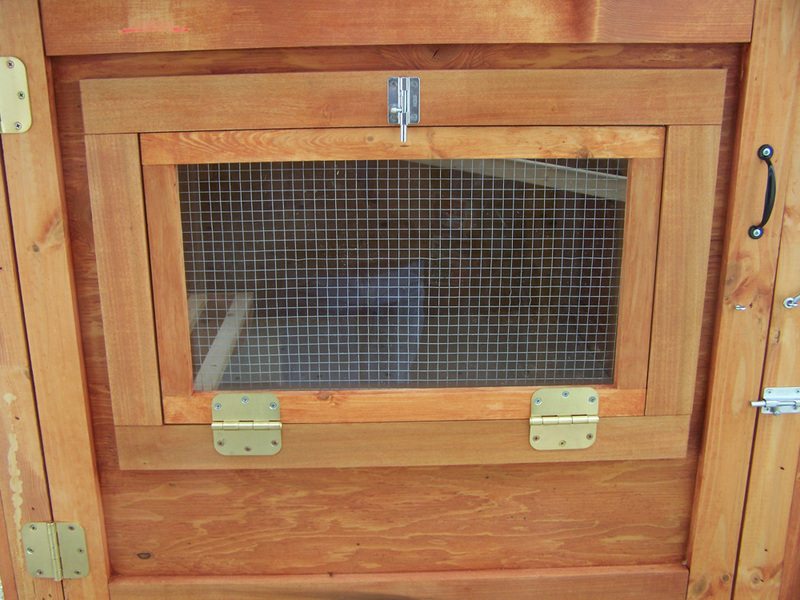 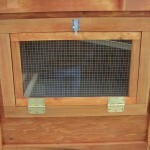 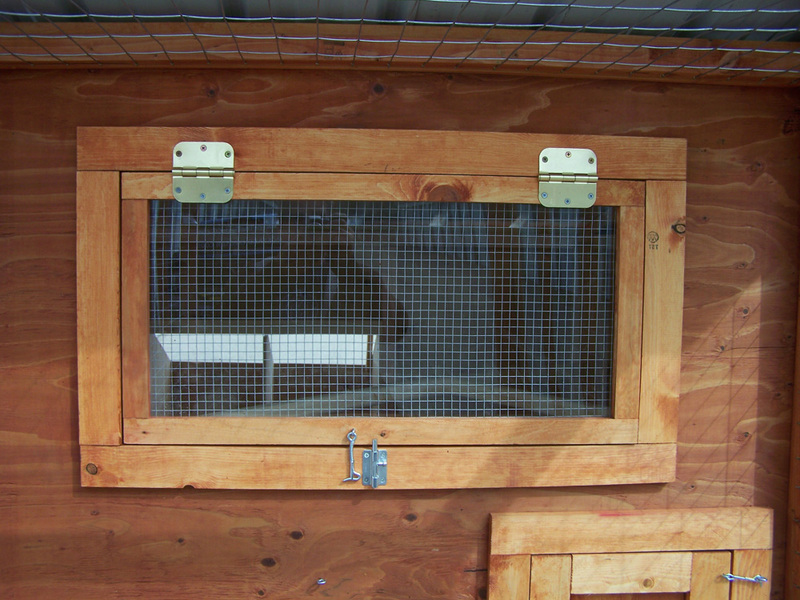 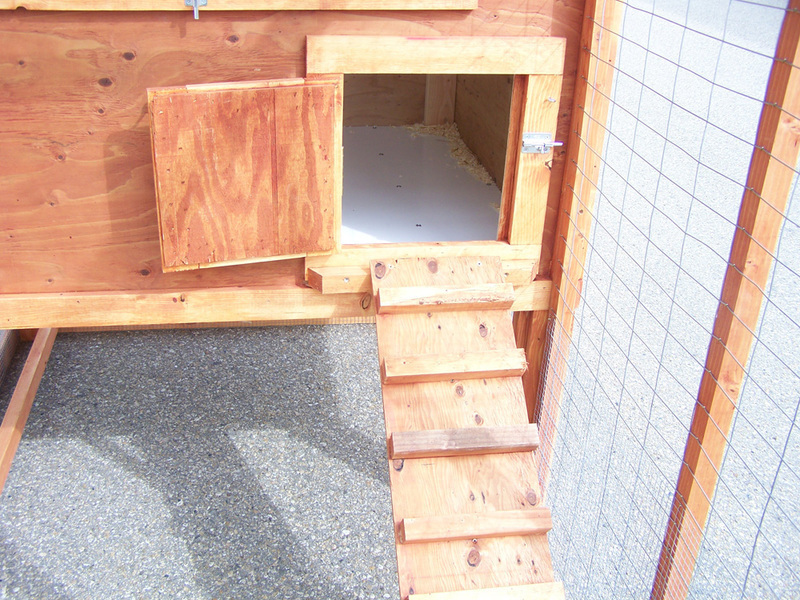 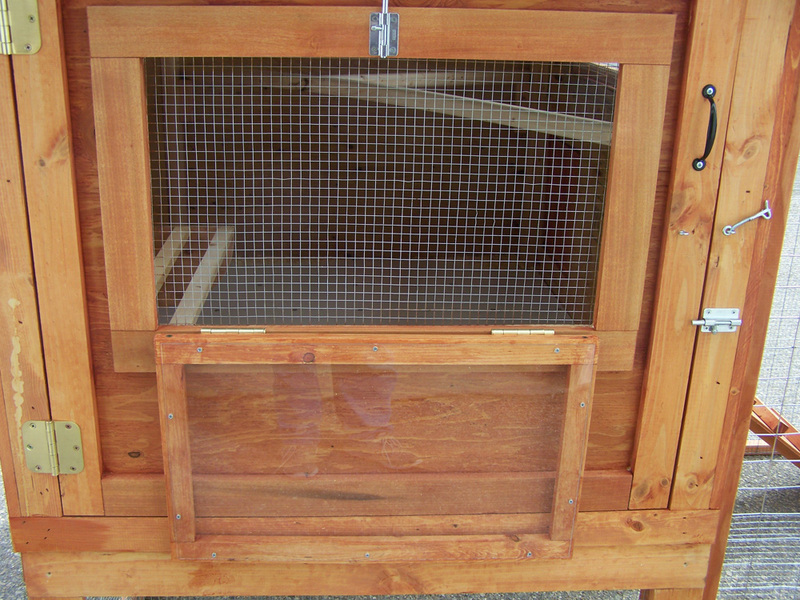 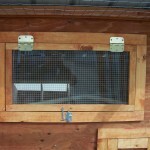 It measures 42″ x 54″ inside x 6’h and has 2 external nesting boxes. 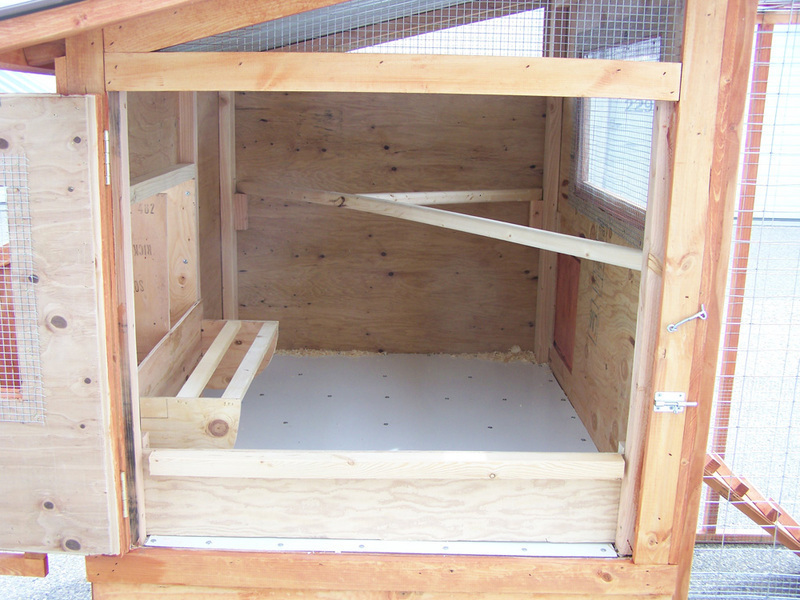 Included is 7′ of roost poles and a 4′ x 8′ x 6’h run (continues under coop). 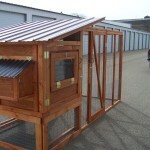 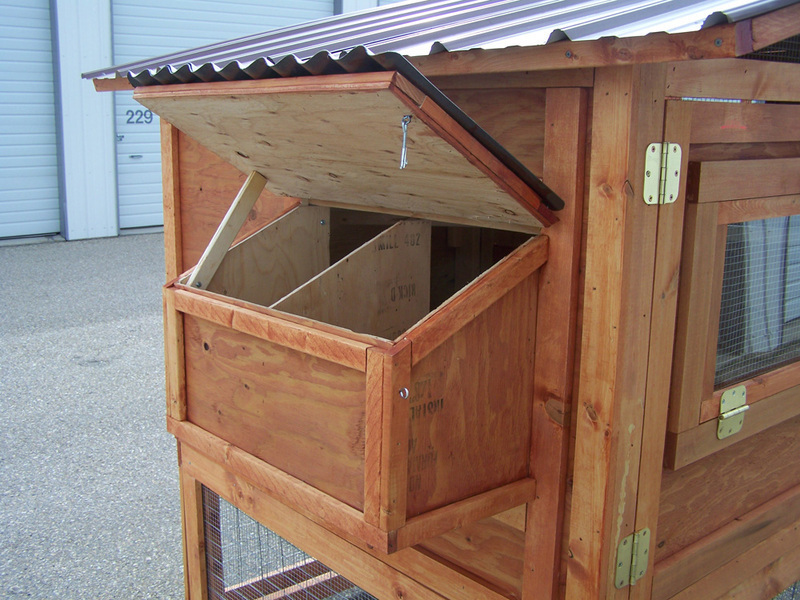 This coop shown is stained and has an upgraded roof. 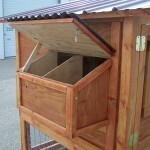 Note: Standard coop comes unfinished and has galvanized metal roof.